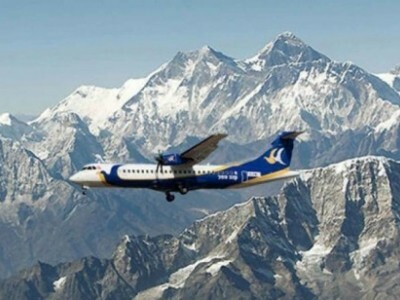 Why travel with Adventure Bound Nepal? Langtang trekking is a classic trek route in Nepal with real heart. The trek route passes through traditional ethnic villages, wild forests, and stunning landscapes. While trekking in Langtang during September, you can see plenty of yak herds grazing on the alpine meadows. During Langtang trek, you can encounter heartwarming hospitality of the lovely people at the traditional villages. This trek is a perfect blend of natural and cultural beauty. This trek route passes through the amazing forests and beautiful hills. Also, there are lots of traditional villages en route. There, you will see the Tamang, Gurung, and Sherpa people. The amazing Langtang valley is a major highlight of this trek. The narrow valley of Langtang lies between the Himalayan range and small snowy peaks. The trek rewards the trekkers with the stunning vistas of the Langtang Himalayas including Langtang Lirung 7246m, Gang Chhenpo 6388m, Naya Kangri 5846m and Dorje Lakpa 6966m. You can also see splendid panoramas of the Himalayas like Himchuli, Manaslu, Ganesh Himal, and Mt. 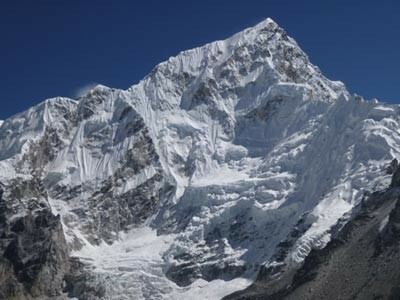 Shishapangma. The Gosaikunda lake is a popular pilgrimage site of Hindus and Buddhist. This lake lies just next to the Langtang valley. Lang Sisa Peak and visit Lake Gosaikunda, which is nearby this trekking. The famous place in Langtang, Helambu trekking lies close to the lake. September is the first month of Autumn. It is a popular time for Langtang trekking. You will see the most satisfactory views of the Langtang valley, different Himalayas, and the glaciers. 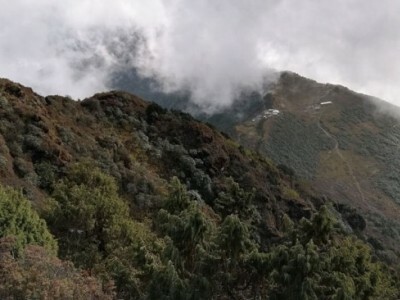 You can also do other popular trekking in Langtang region like Langtang Gosainkunda Trek, Langtang Tamang Heritage Trek, Langtang Circuit Trek, and Langtang Helambu Trek in September. If you want to go on the Langtang trek with us, we will organize the best trek for you. Contact Us. Culture and traditions of Sherpas and Tamangs. Day 01 :Arrive at Kathmandu International Airport. Day 02 :Drive from Kathmandu to SyapruBesi (1600m). Day 03 :Trek to Lama Hotel (2470m). Day 04 :Trek to Langtang village (3430m). Day 05 :Trek to KyanjinGompa (3870m), then climb KyanjinRi (4773m), and back to KyanjinGompa. Day 06 :Trek to Lama Hotel (2470m). Day 07 :Trek to SyapruBesi (1600m). Day 08 :Drive back to Kathmandu. If you are trekking in the Langtang region in early September, you will experience post-monsoon weather. This weather is still moist with chances of few rainfalls in nights and evenings. But even though it rains during the night, the weather becomes clear displaying magnificent views of the surrounding. The time after the mid of September experiences stable weather. This is the time when the Langtang region sees lots of trekkers. During this time the sky is clean with least chances of rainfall and snow. The weather remains stable for long making the most suitable weather for trekking. The daytime temperature in September ranges from 10°C to 15°C. Nights are colder, yet bearable with some warm gears. During nights, the temperature averages between -10 to -1 degree Celsius. The places at lower altitudes are hotter than the higher elevation regions. So, treks like Langtang Helambu trek are warmer. The Langtang Gosaikunda trek passes through the Laurebina Pass, 4610 meters. This pass is a high altitude pass. Thus, the temperature is cold and you will feel chilly while crossing the pass. Why Langtang Trekking in September? In September, the precipitation is low than in the rainy season. Thus, you can see the awesome views of splendid valleys and the white Himalayas in the Langtang region. If you are a keen photographer, you will get thousands of jaw-dropping views to click into your lens. With September, the Langtang region becomes drier and warmer. Due to warm, dry, and stable weather, trekking in September will give you the best experiences. The sky becomes blue and cloudless. The atmosphere is clear with clean air and improved vision. Also, there are fewer chances that clouds will cover the mystic mountains. September is the month of Autumn. Autumn is the peak trekking season in Nepal. So, during your Langtang Trek in September, you won’t have to worry about being alone on the trail. You will meet lots of fellow trekkers en route. The Langtang trekking passes through the Langtang National Park. This national park is a home of hundreds of species of plants and animals. If you are lucky, you can even see the endangered species like Red Panda. The Pandas live in the bamboo forests in the park. The trekking trails of Langtang are quite busy and cheerful with lots of trekkers trekking around. The trial exhibits exotic forms of nature. The enchanting views of mountains, hills, Himalayas, and forests beautifies the trekking trail of Langtang. You will have a splendid time during this trek. Langtang trekking is an exotic teahouse trekking trail close to the Kathmandu valley. A large number of trekkers trek in the Langtang trek route in September. You will find some tea houses en route that will provide accommodation and foods. The teahouses in Langtang trek provide basic services on accommodation and food. At most of the teahouses, they will provide accommodation at a very low cost if you have meals there. During this trek, it is better to have food at the place where you will stay for nights. September is a popular season for Langtang trekking. From the mid of September, the peak season to trek in Nepal begins. During this time, you will see lots of trekkers trekking in the Langtang trek route. There is a limited number of teahouses en route. Due to the heavy traffic and limited teahouses, you might not find your desired rooms. Also, you might have to pay extra charges for accommodation if you do not book the rooms in advance. The rooms are not so big. You will have a bed along with blankets. If you want extra blankets, you can get them by paying some extra charge. The tea houses and lodges serve healthy foods. You can have anything Nepalese, Indian, and also some international cuisines. You can also have breakfasts, snacks, and drinks. Transporting goods in higher places on the trail is difficult. Porters and yaks export all the goods that you will consume or utilize at the higher altitudes. So, the cost of food, accommodation, and drinks increase with the increase in altitude. Pack some light snacks like granola bars, chocolate bars, etc. you can get them on the trails but they are very expensive there. Also, as September is a busy season. Keep in mind that you may have to wait in queues for your meals. You must drink plenty of water during the Langtang trek. Drinking sufficient water will keep you hydrated and will prevent you from getting altitude sickness. For drinks, you can find bottled water, tea, coffee, soft drinks, ginger tea, etc at most of the teahouses and lodges en route. Try to avoid drinking alcohol while trekking. Drinking alcohol will dehydrate your body soon and you might suffer from altitude sickness. Sometimes, monsoon expands and continues until the end of September. If that happens, then you might have to trek over the wet and slippery trails that will be quite hard. Finding places for accommodation will be difficult if you do not book the tea houses earlier. The Langtang trek route is a remote trekking route. Trekking in this trail can be difficult for those who seek luxurious ways of visiting different places. If you are trekking to the Langtang region in September, you are doing the right thing. Even though the Langtang trekking is a moderate level trekking, there are still some difficulties that you might encounter while trekking. Here, we have come up with some best tips that can prevent or reduce the trek difficulties during your Langtang trek in September. Early booking for your accommodation is absolutely necessary for September, especially in late September. There are hundreds of trekkers from around the world trekking in the Langtang region during this time. There are few and limited options for accommodation. So, it is always better to book your accommodations earlier. The early September still experiences the remainings of monsoon. It might rain occasionally during evenings, nights, and early mornings. So, you will need the rain protection gears to prevent your gears from the rainfall. During treks, you will sweat a lot. And also because of altitudes and other elements, your body dehydrates sooner. Thus, it is necessary to keep hydrating yourself from time to time. Before drinking water, do make sure that it is clean. If you are drinking water from natural sources like rivers, taps, streams, etc, you must purify the water before you drink it. You can carry some water purifiers along with you while trekking. Trekking wearing uncomfortable shoes will give you worse experiences. Thus, before any treks, you must make sure that your shoes are comfortable. Look for lightweight and rugged trekking shoes with sturdy soles. You can wear your trekking boots on the short hikes near your places. This will help you know about the comfort of the shoe. You must always carry appropriate clothing and gears while trekking. Without appropriate clothing and gears, trekking can be really difficult. So, before you go on the trek make a list of things that you will need for Langtang trekking in September. You can also take a look at our packing lists for trekking in Nepal. Alcohol and alcoholic products dehydrate your body faster. When your body dehydrates, there are chances that you might get altitude sickness. So, we advise you not to consume alcohol during the high altitude of Langtang treks. It is always better to do some warm-ups rather than going on the trek directly. For Langtang treks, there is a need for doing training and exercise preparations as in the Everest Base Camp trek and Annapurna Base Camp trek, Manaslu Trekking, etc. You can practice some short 1-day hikes, or you can go swimming or do some exercises regularly. Doing this will increase your stamina and physical endurance to trek. Pack your bag to go on one of the most beautiful trekking trails in Nepal. Trekking to Langtang in September means you will have the best trekking experiences of a lifetime. If you want to go on this trek with us, feel free to contact us. If you have any queries or suggestions, you can contact us. Do you want to know the REASONS TO VISIT NEPAL ? Here are some of my collection ! When to Travel Nepal ?